When I peel apples, I always think of the alphabet. It all started when I was in first grade. My teacher, Mrs. Darnell, was peeling my apple and she told me that the peel could tell my future. I was intrigued. I mean, I was six years old. She said that whenever you peel an apple, you need to recite your ABCs. When the peel breaks away, whatever letter you are on will be the first letter of the name of the person you are to marry. Since then, I've always landed on the same letter. It's completely creepy and weird. And a teeny-tiny, itty-bitty part of me wonders if it will be true. 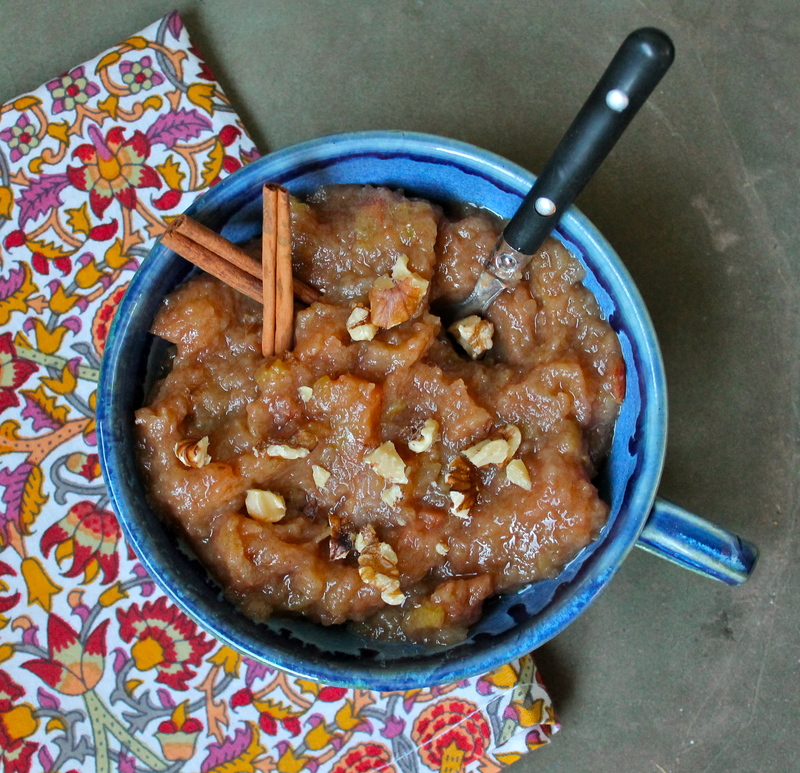 The crock pot method of making applesauce does take a bit longer than the stove-top version, but it fills your kitchen with the smells of fall. 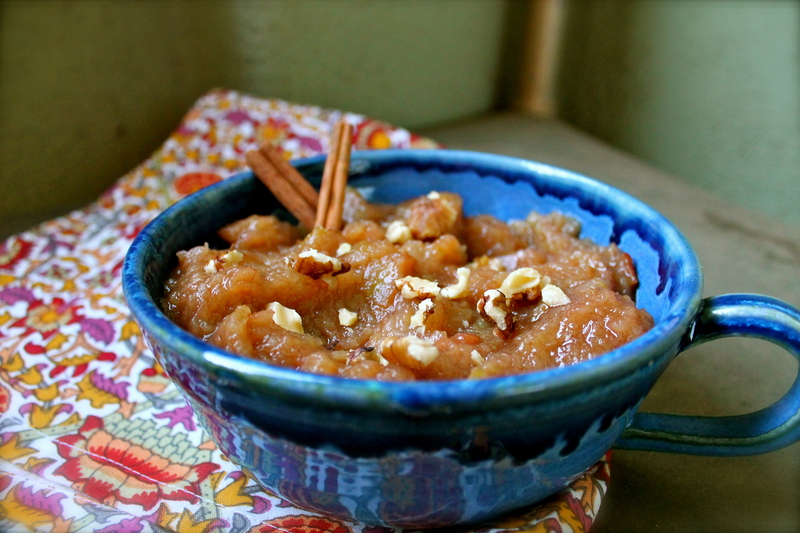 I loved the way this applesauce tasted - lightly tart, but sweet with a hint of spices. It tastes delicious topped with chopped walnuts or even a bit of ice cream. 1. 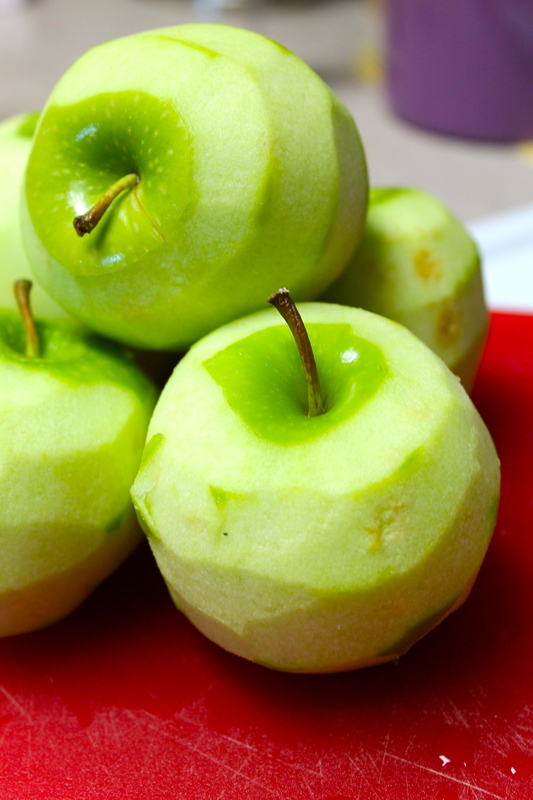 Peel, core, and chop apples into smallish chunks. I had about 6-7 cups of apples. 2. 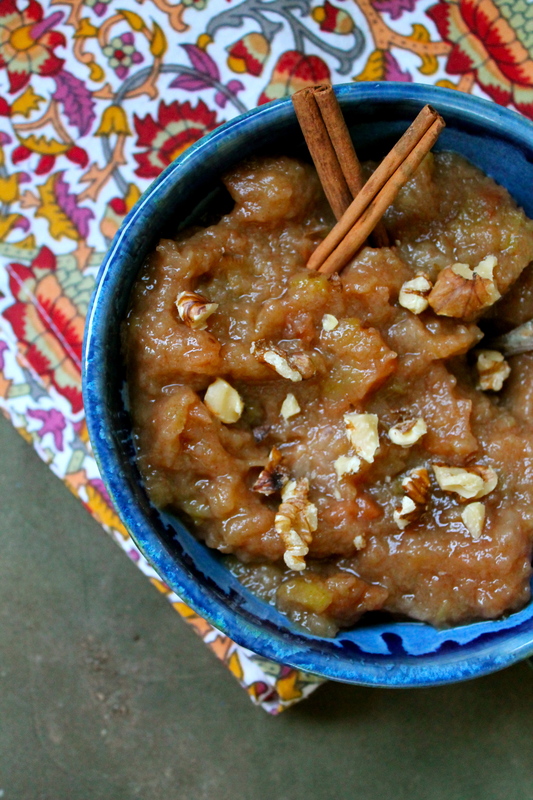 In a crock pot set on high, place apple chunks, maple, and spices. Mix well. 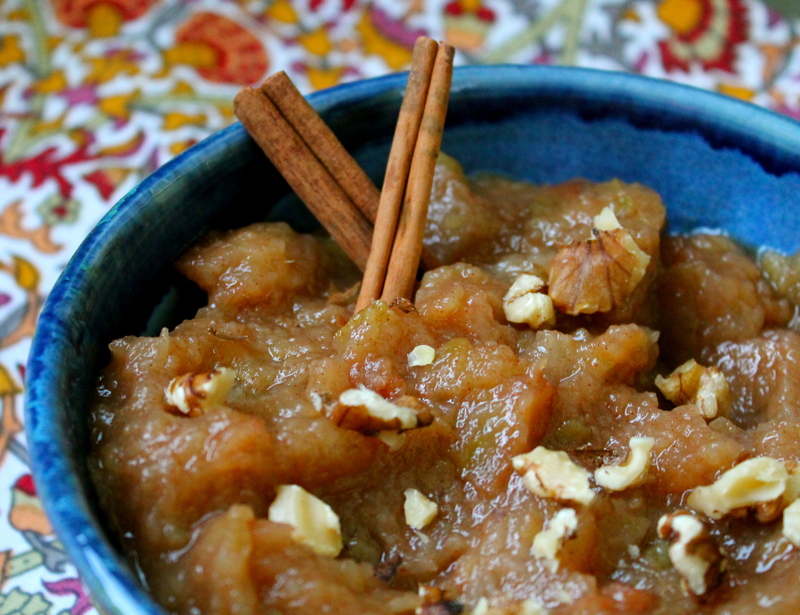 Allow apples to cook for about 3 hours or until the apples are completely softened. 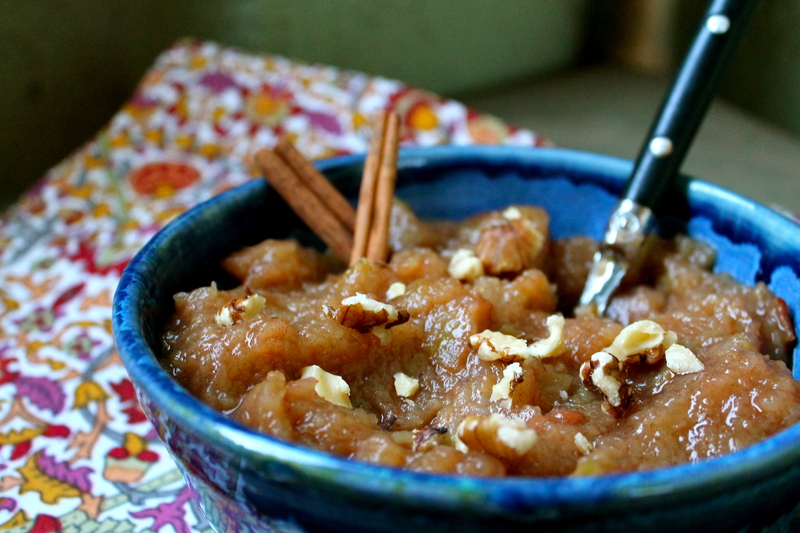 I didn't need to puree or mash my applesauce because I like it chunky, but you can puree or mash if you want it smoother. Store in an airtight container in the fridge for up to 5 days. It may separate, that's okay, just mix it up again.